Post any Assassin builds you wish to ping. Add Strength of Honour and this is insane dps. 1) Use skills 5-7 before you encounter any of the enemies you plan on fighting (which probably won't be many ). 2) Pull the Knights and use 8 while they run at you. For mages, use skill 8 as soon as they notice and start attacking you. 3) Use skills 1 through 4 in the folllowing order: 1, 2, 4, 3, 4 (after that, you use 2/3 and then 4 over and over again). To use this build, exit The Marketplace into Wajjun Bazzar. To your right is the first group of Jade Brotherhood Knights. Take them down using the instructions above and continue to the group slightly past them. Continue to follow this path. Now, you have two paths you can go. Avoid the path with Lian, Dragon's Petal and continue forward so that you encounter two Jade Brotherhood Mages. After taking them down (use the instructions! 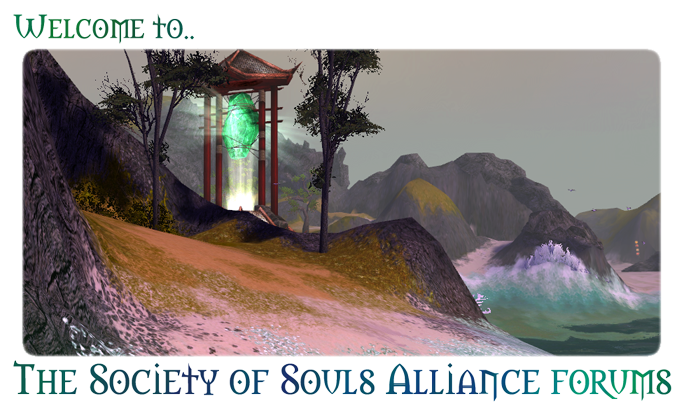 ), continue across the bridge, and be careful not to aggro the Jade Brotherhood Mesmer(s) and Ritualist(s). Don't let the mages up by Nago (The Weaponsmith) notice you, and continue running. Fight the three Knights, and go back to take care of the Mages. This run gets a gold item on about 12 in 15 runs (maybe less). You can get Bolts of Cloth and Silk, too. Runes are an important part of this run because of the Jade Brotherhood Armguards and similar items. You usually end up with an average of 10k an hour in Hard Mode (it's not the best way to make money, but it works ). PM me in game if you need any help with this build (questions, demonstrations, etc. )!